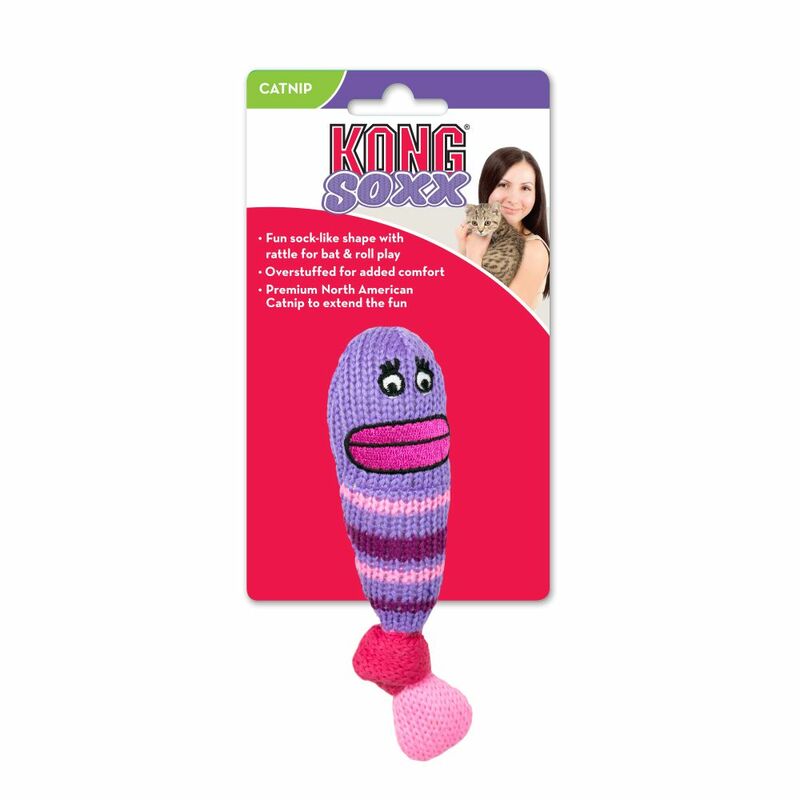 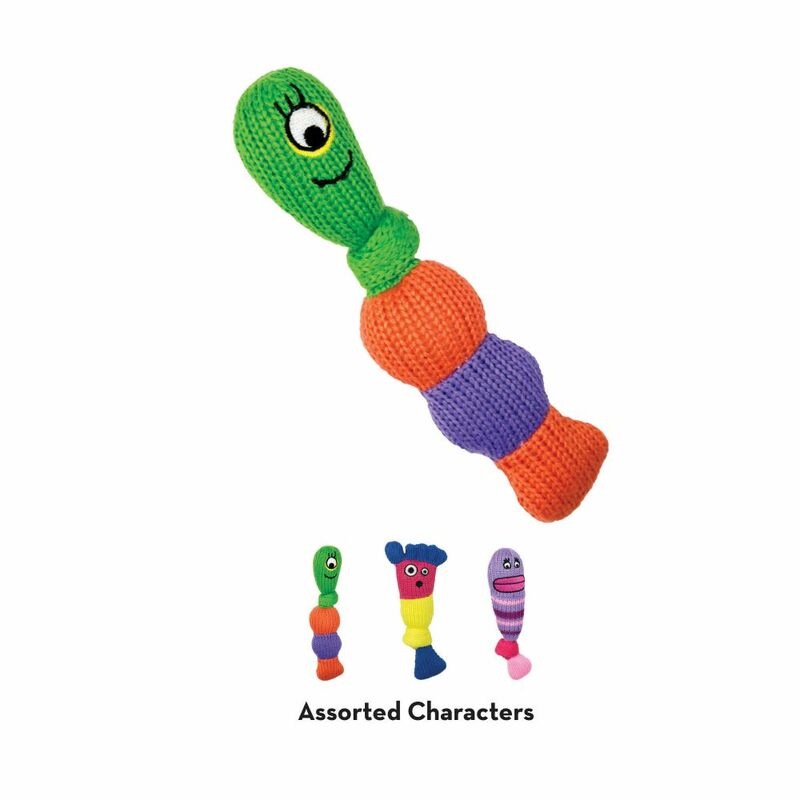 KONG® Soxx Cat are overstuffed with cuddly fun. 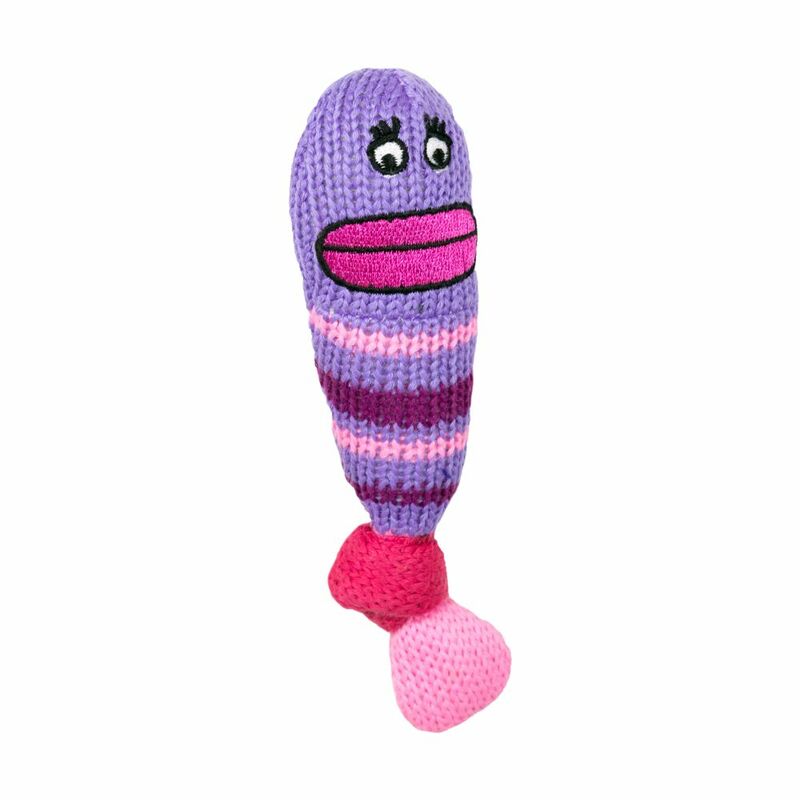 The sock-like texture will delight their claws and make it fun for your cat to snag, wrestle and snuggle. 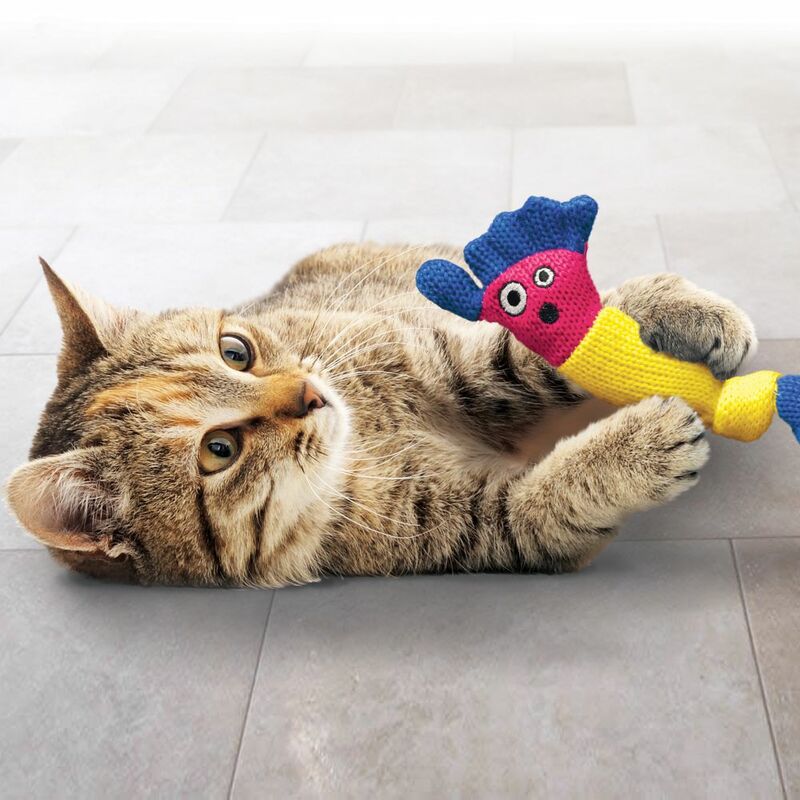 KONG’s Premium North American Catnip has been added to entice and extend play.